N 11° 6' 30" and E 42° 22' 26"
Dikhil in Dikhil Region with it's 12,043 inhabitants is located in Djibouti about 62 mi (or 100 km) south-west of Djibouti, the country's capital. Local time in Dikhil is now 08:12 PM (Sunday). The local timezone is named Africa / Djibouti with an UTC offset of 3 hours. We know of 8 airports in the wider vicinity of Dikhil. The closest airport in Djibouti is Ali-Sabieh Airport in a distance of 24 mi (or 38 km), East. Besides the airports, there are other travel options available (check left side). Depending on your travel schedule, you might want to pay a visit to some of the following locations: 'Ali Sabieh, `Arta, Tadjoura, Djibouti and Obock. To further explore this place, just scroll down and browse the available info. Let's start with some photos from the area. The Dikhil Region is a region in southern Djibouti. It is bordered by the Regions of Tadjoura to the north, Arta to the northeast, Ali Sabieh to the east. To the west and south, it has a long line with the Djibouti-Ethiopia border adjacent to the Ethiopia Regions of Afar Region and Somali Region. 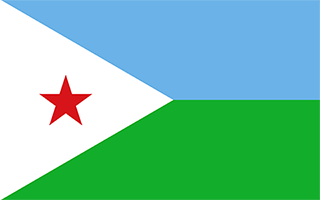 Dikhil Region is the largest Region in Djibouti by area, with a mainland area of 7,200 square kilometres (2,800 sq mi), it is slightly larger than Luxembourg. Located at 11.1, 42.3667 (Lat. / Lng. ), about 1 miles away. Dikhil is a town in the western Dikhil Region of Djibouti. Lying east of Lake Abbe, It is situated about 100 kilometers Southwest of Djibouti City and 12 km (7 mi) south of the border with Ethiopia. The town is home to a population of around 30,127 people. The town develops gardens and fruit trees. Located at 11.1167, 42.3667 (Lat. / Lng. ), about 1 miles away. Dikhil Airport is an airport serving the town of Dikhil in the Dikhil Region of Djibouti. Located at 11.1, 42.35 (Lat. / Lng. ), about 2 miles away. These are some bigger and more relevant cities in the wider vivinity of Dikhil.